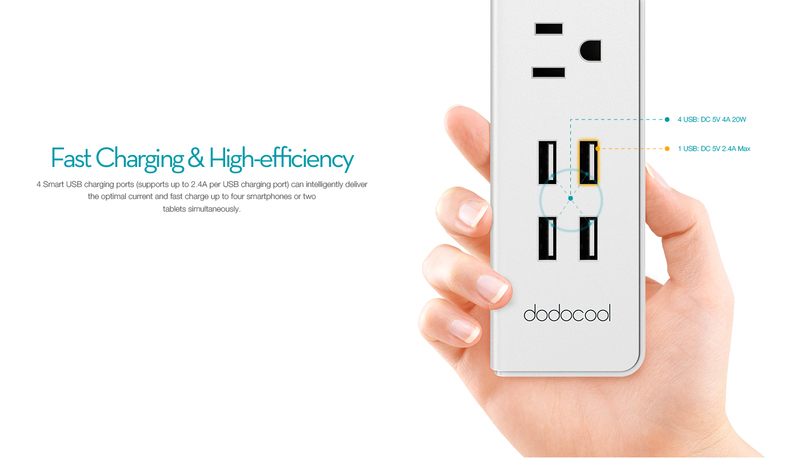 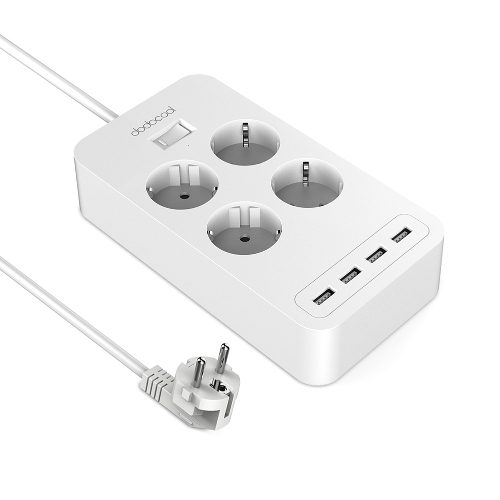 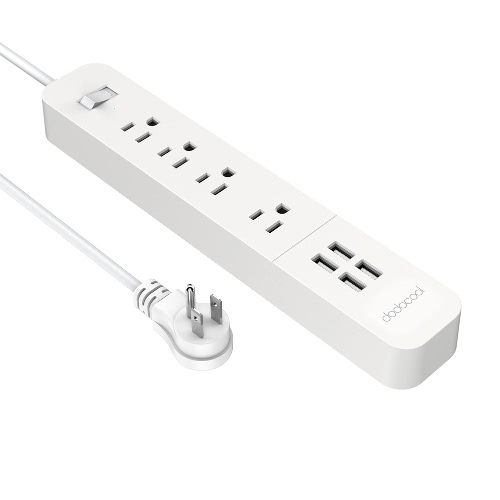 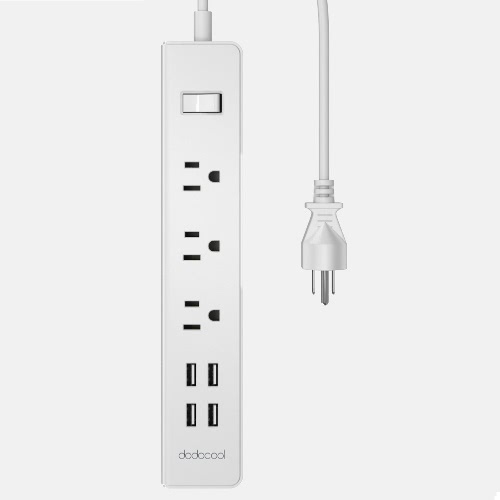 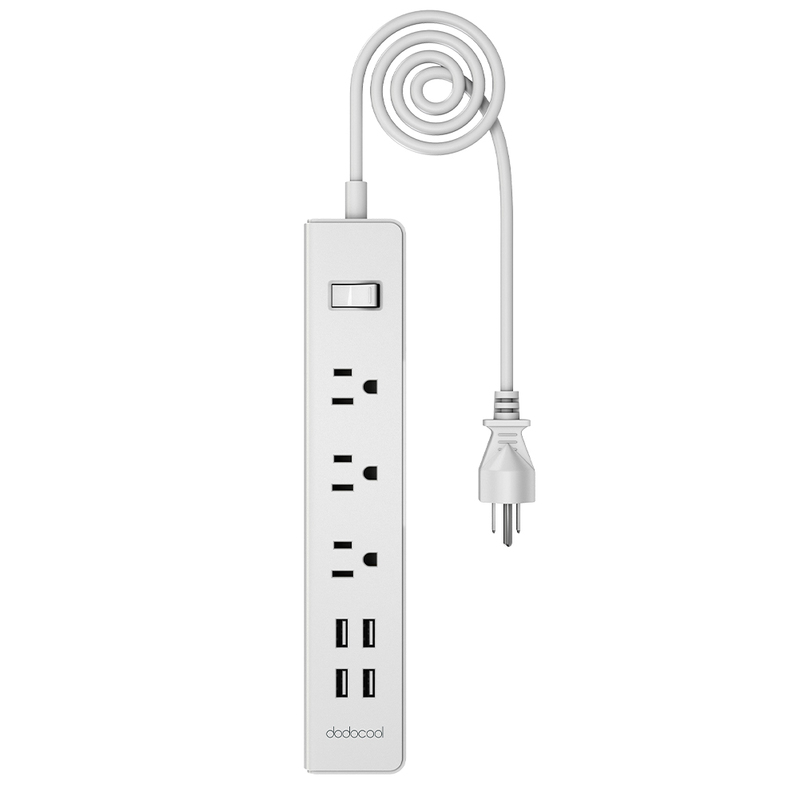 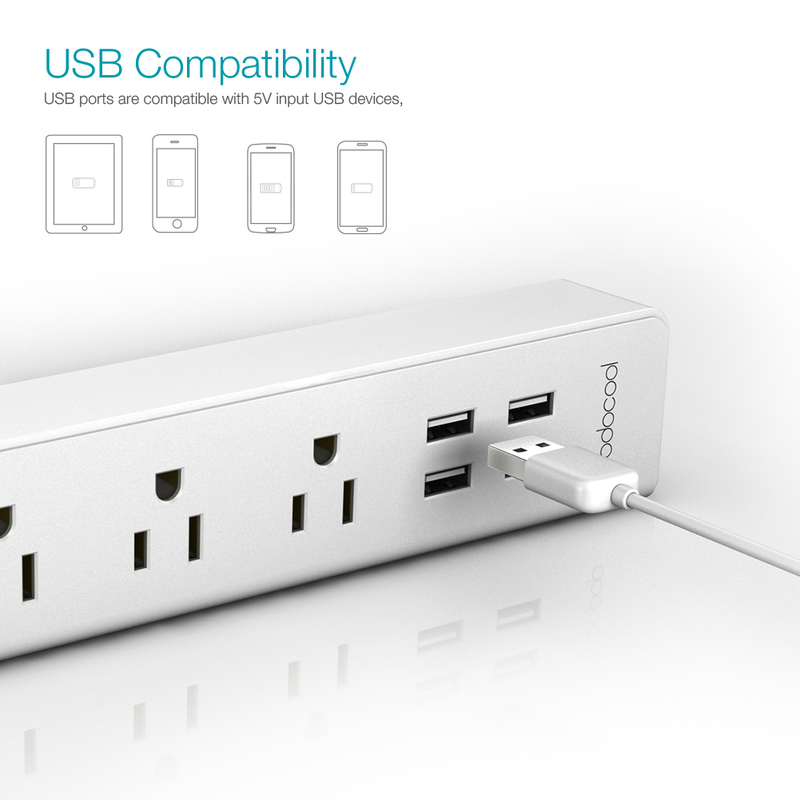 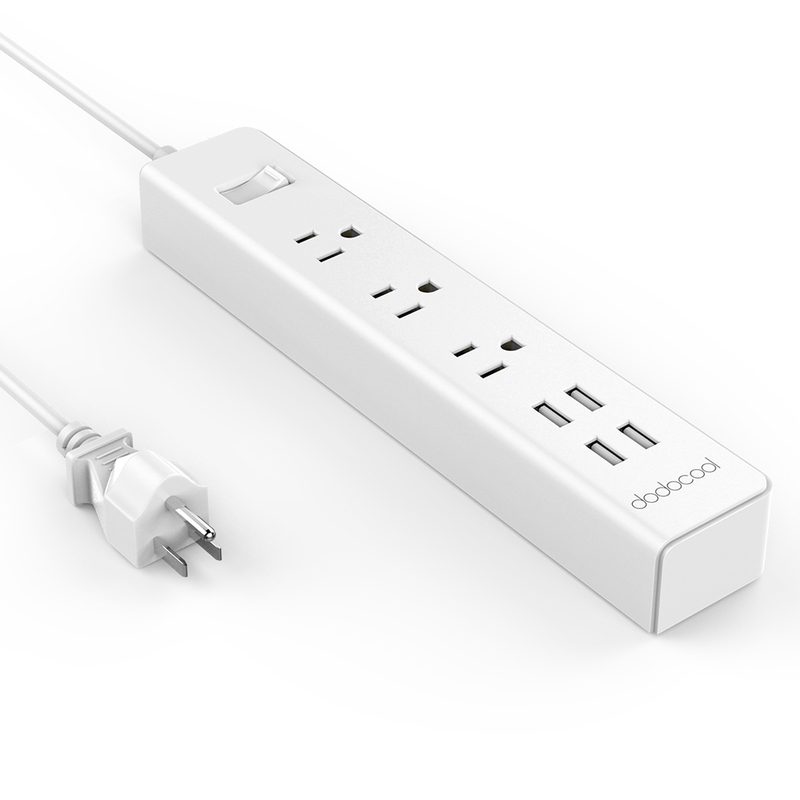 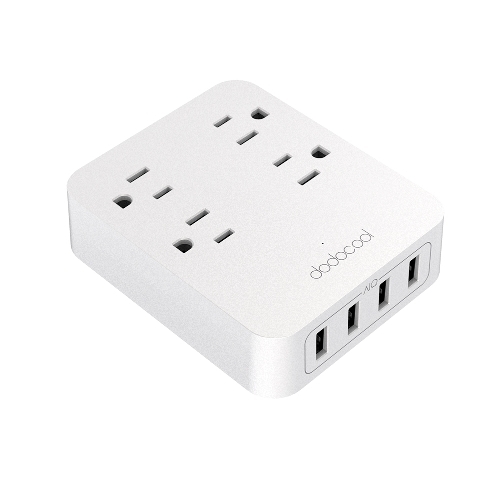 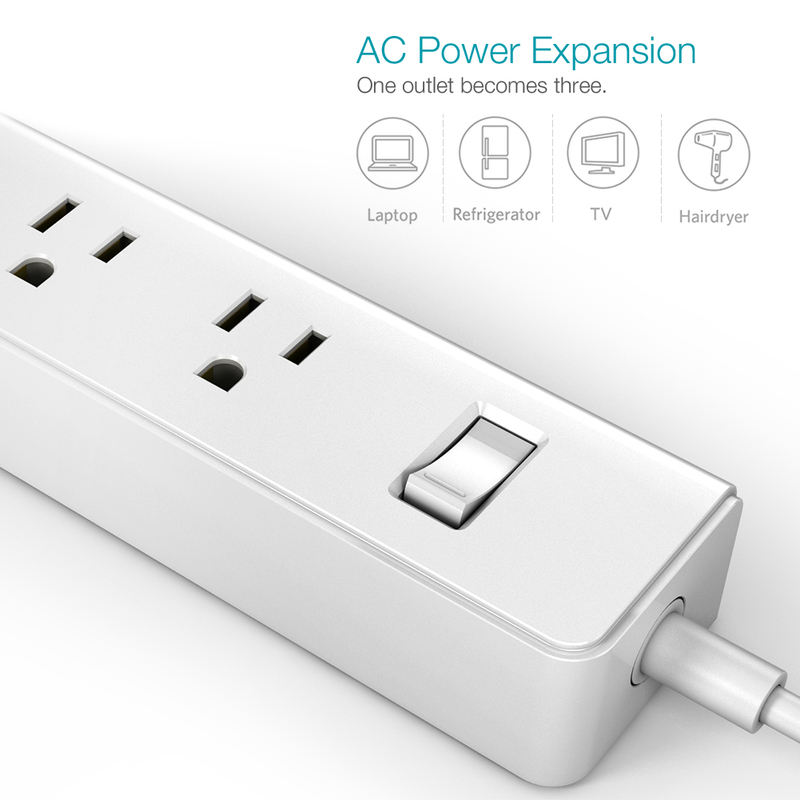 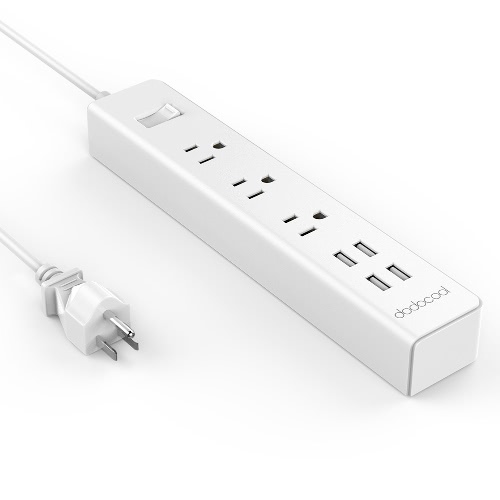 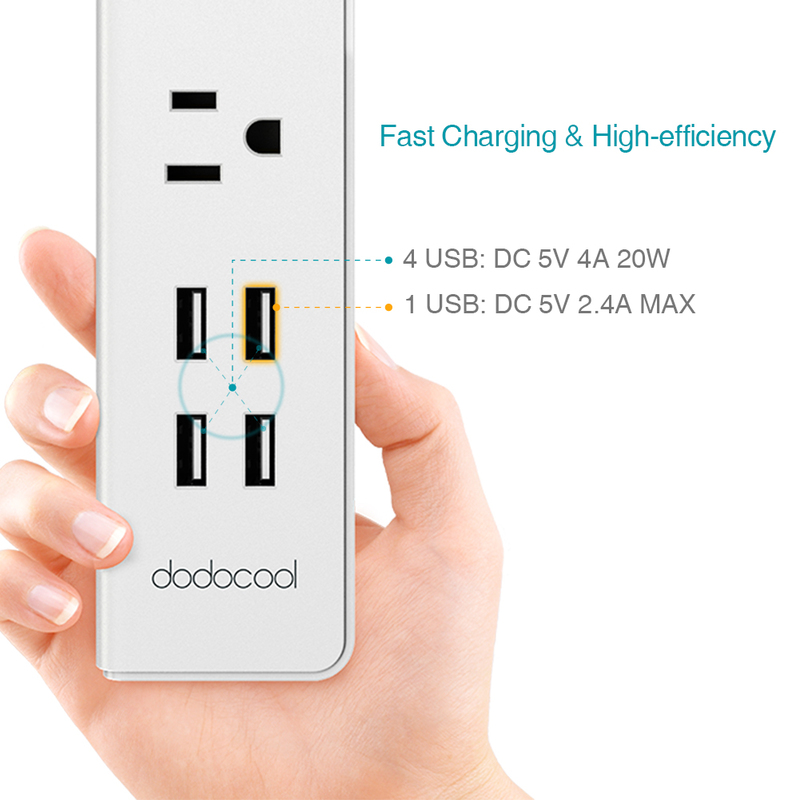 dodocool Smart 4 AC Outlet Power Strip with 4-Port USB Charger lets you charge up to four appliances and four USB devices simultaneously. 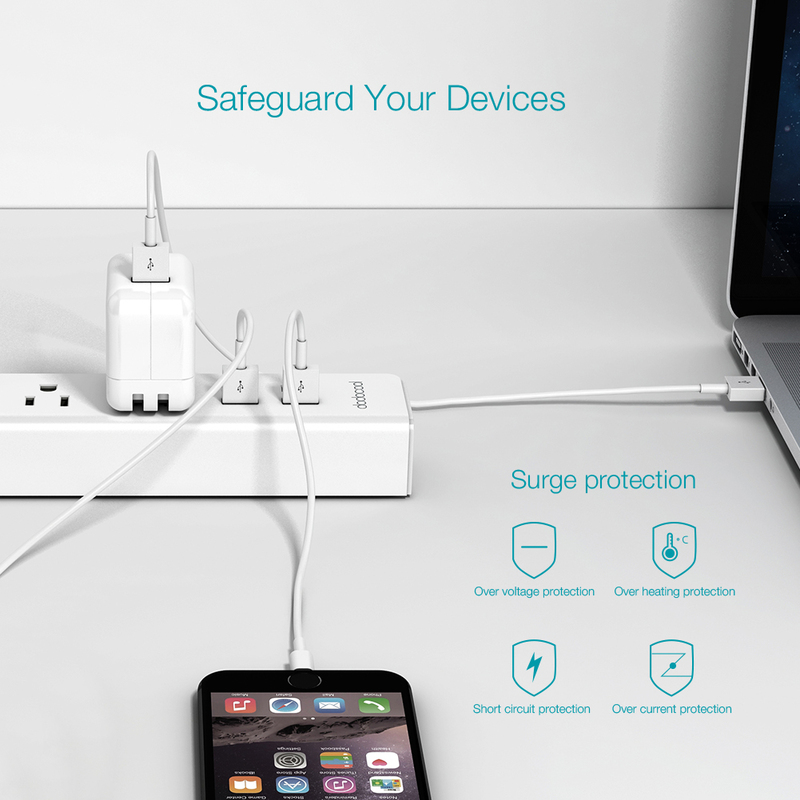 It's the must-have charging solution for home, office or travel. 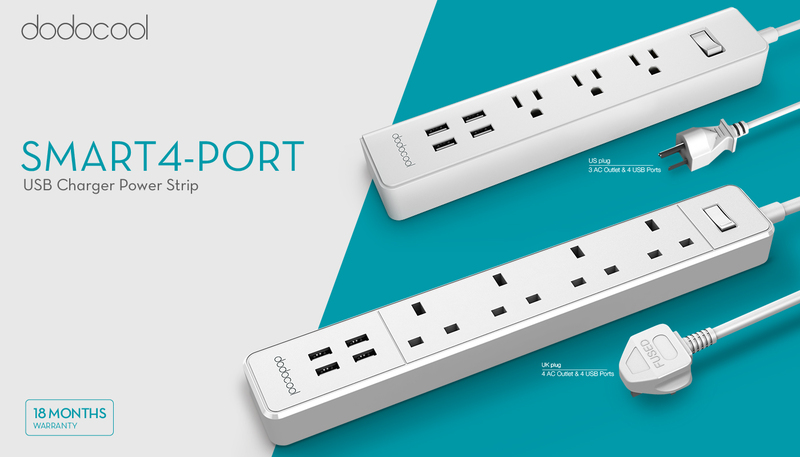 4 AC outlets and 4 USB charging ports allow you to charge up to four appliances and four USB-powered devices simultaneously. 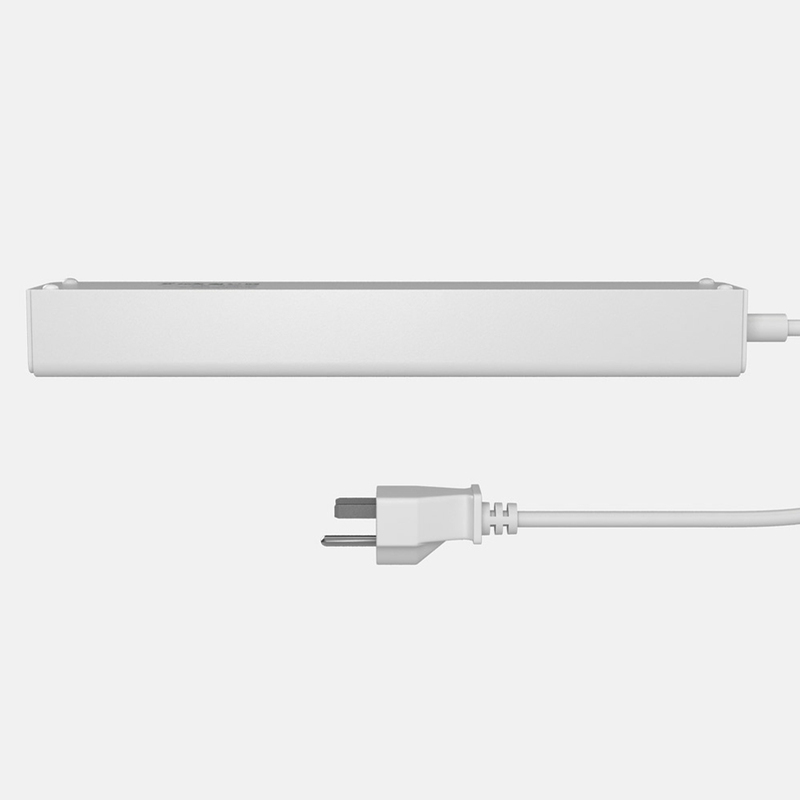 This USB Power Strip provides over-current protection, over-voltage protection, over-heating protection and short-circuit protection for USB devices. 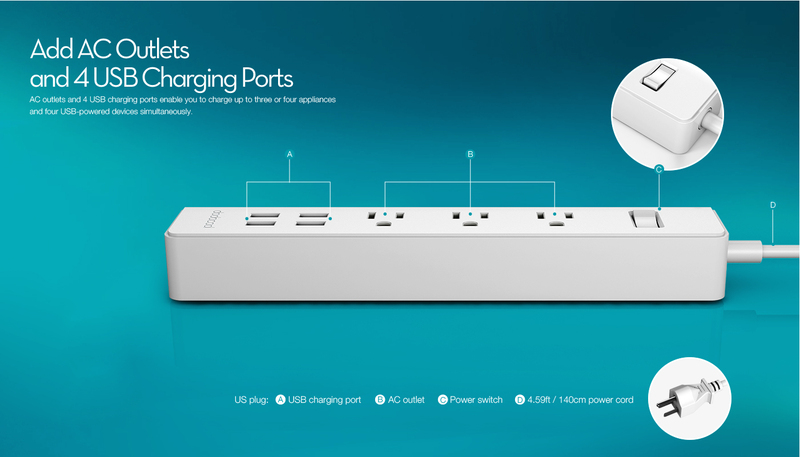 4 Smart USB charging ports (supports up to 2.4A per USB charging port) can intelligently deliver the optimal current and fast charge up to four smartphones or two tablets simultaneously. 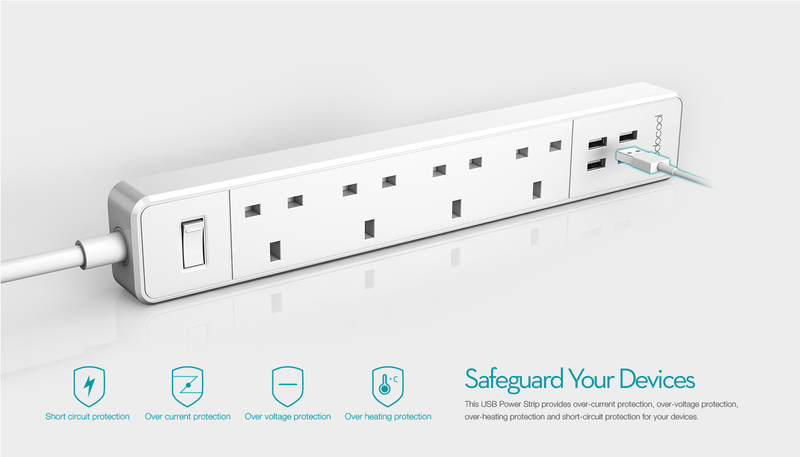 Premium damage-resistant and fireproof housing protects circuits from fire, impact or rust, and prevents dents and scratches. 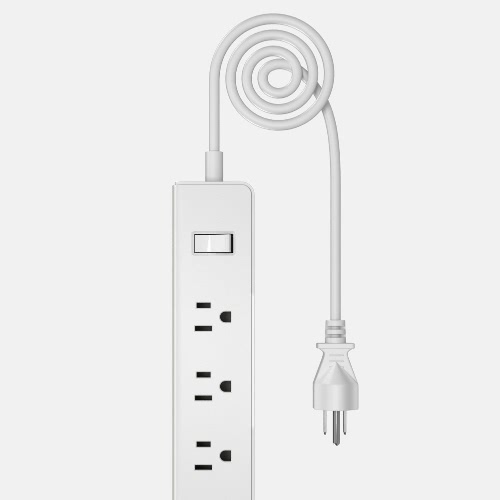 Built-in power switch makes it easy to turn off several electronics at once. 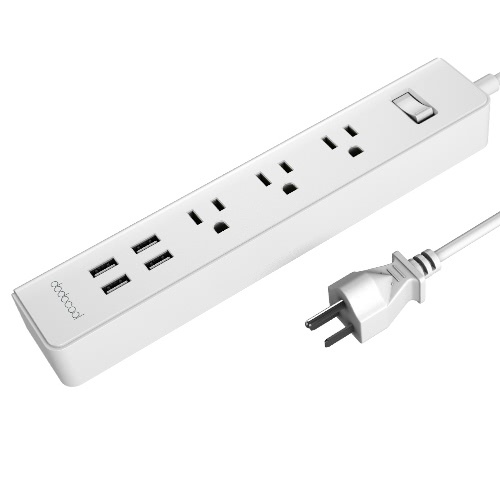 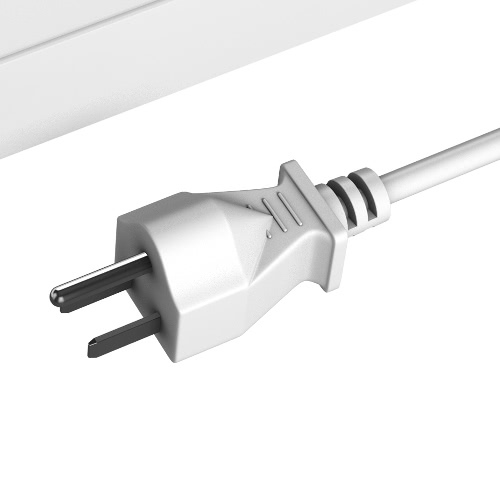 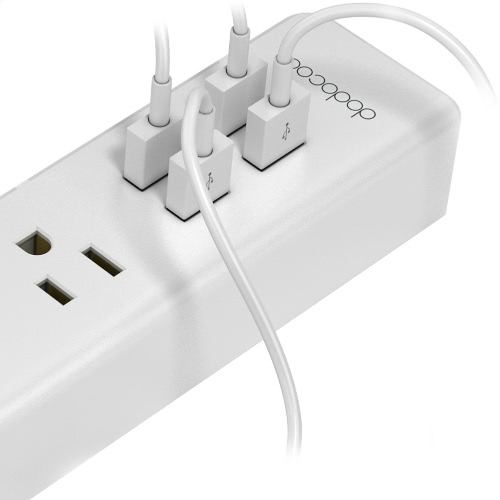 Well-spaced outlets enable more convenient plugging and less conflict between plugs. 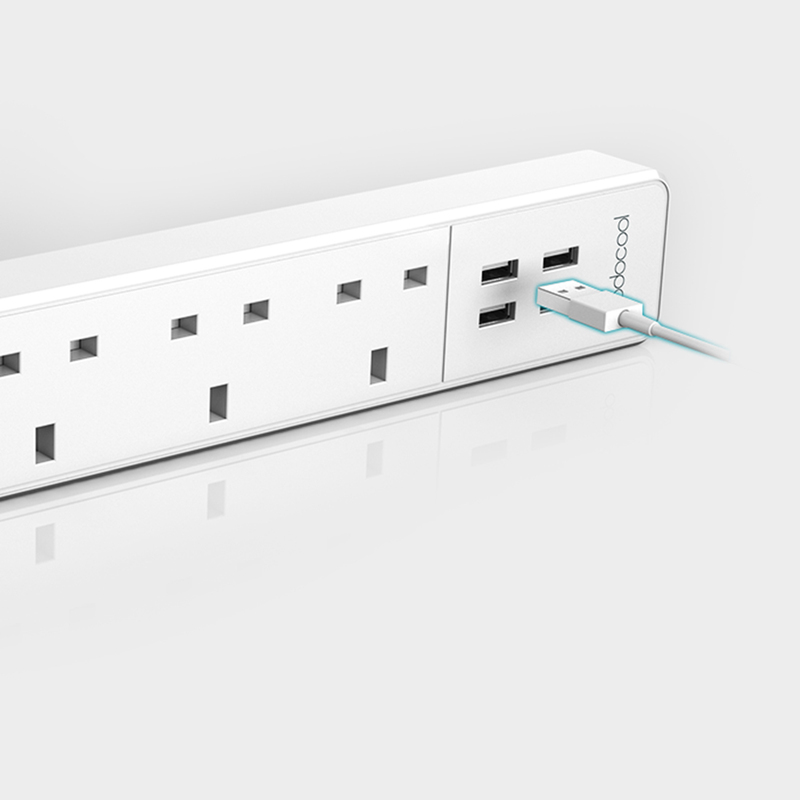 Non-slip feet let the Power Strip stay put on your desk. 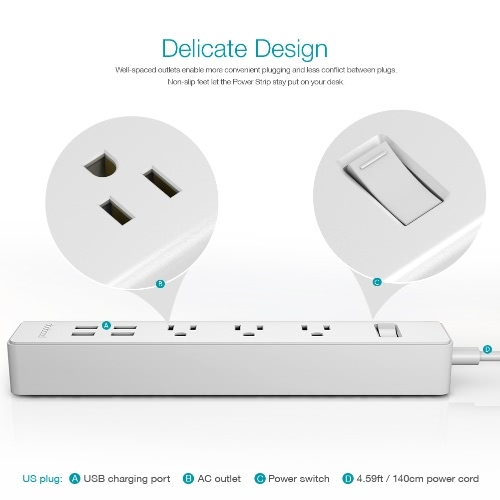 USB ports are compatible with 5V input USB devices, for iPhones, for iPads, for Android smartphones, for Android tablets, power banks, GPS, MP3/MP4 players, etc. 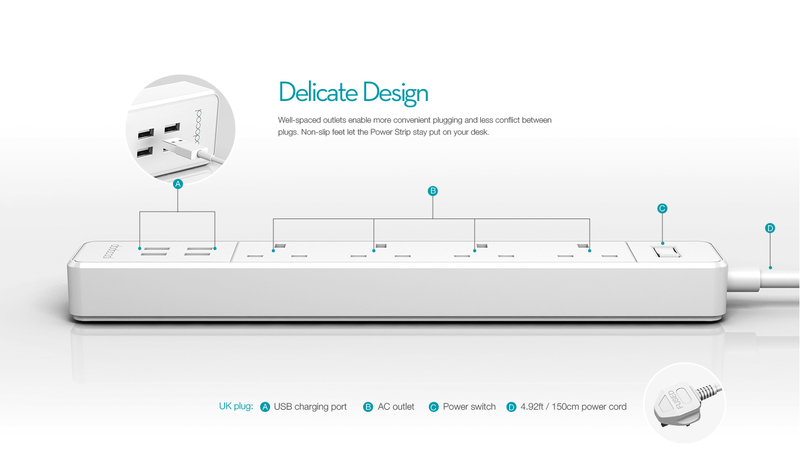 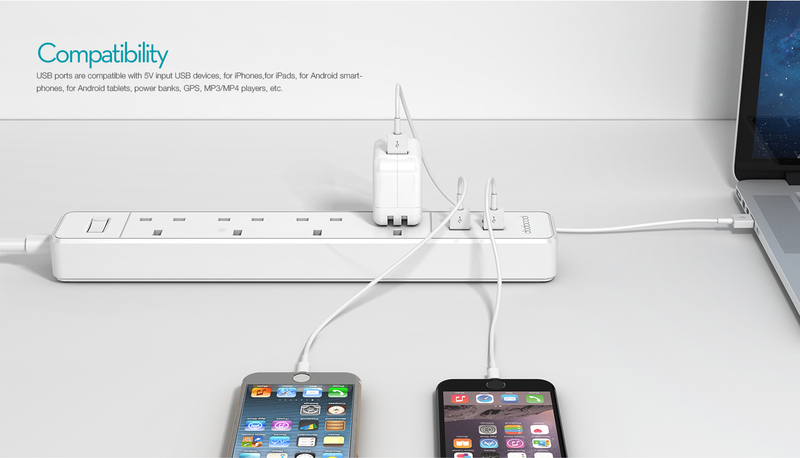 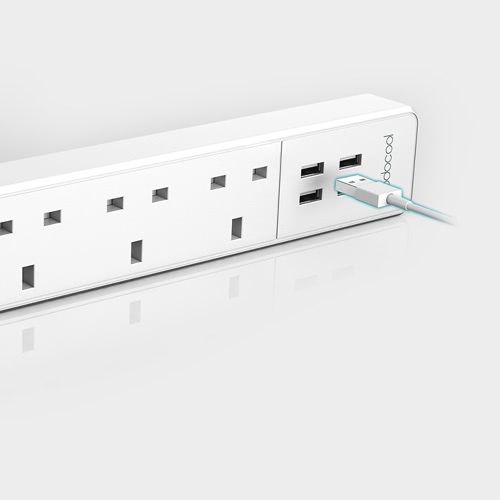 Simply combine 4 AC outlets and 4 USB charging ports in one. 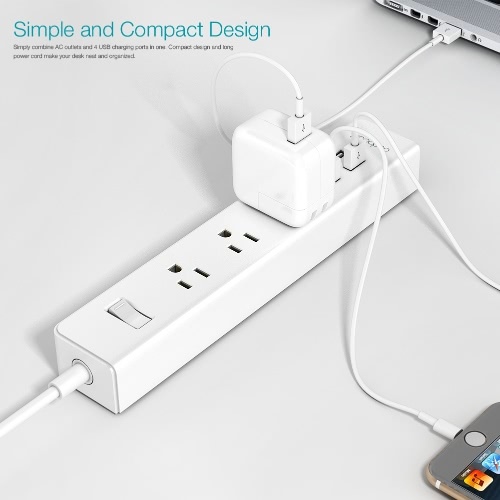 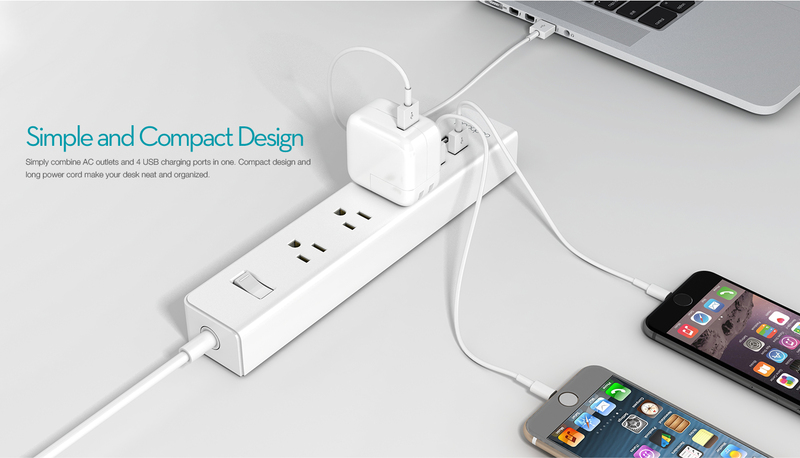 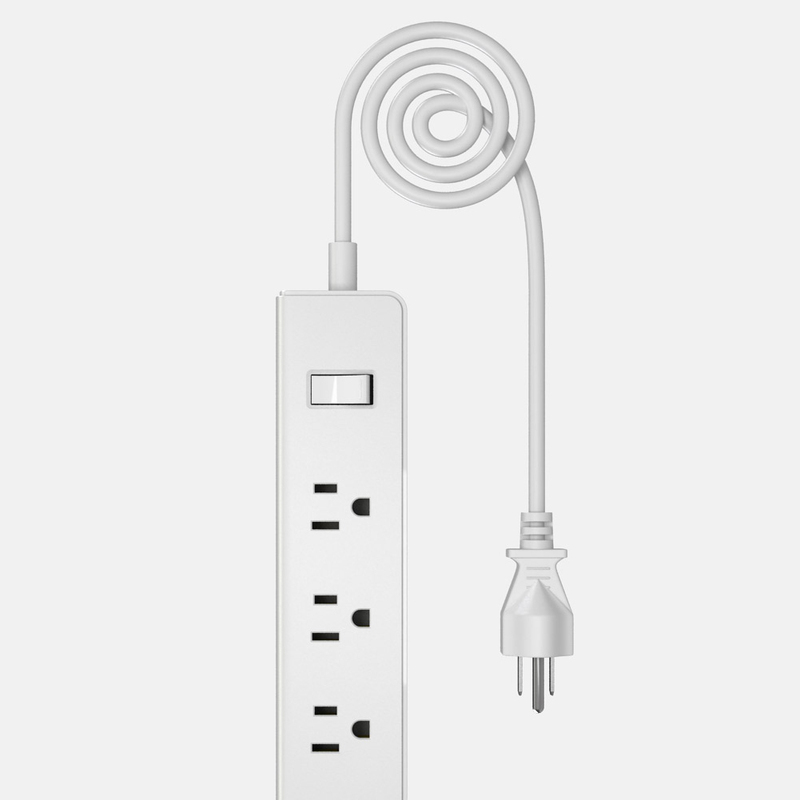 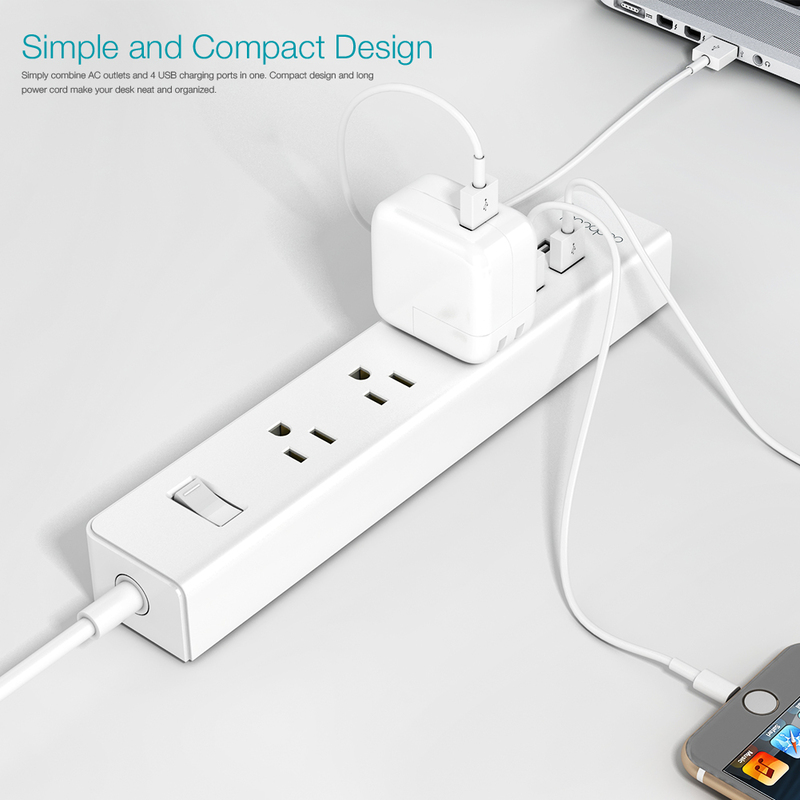 Compact design and 4.92-feet power cord make your desk neat and organized. 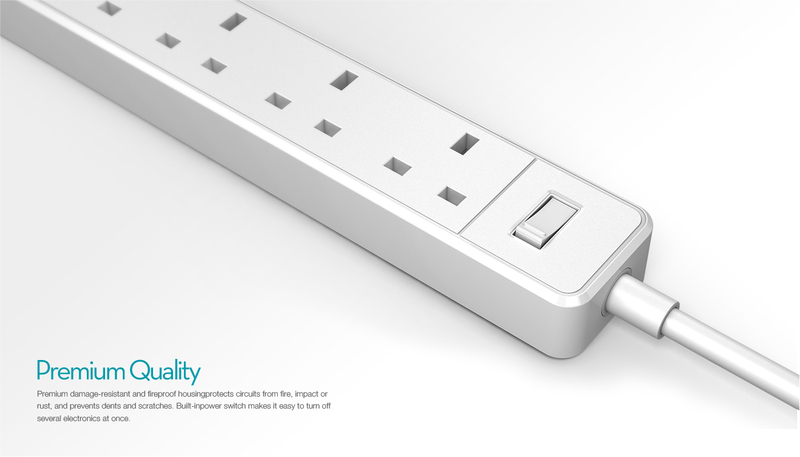 We provide customers with a warranty of 18 months from the date of purchase and lifetime technical support. Rated Power: 3250W 250V 13A Max. 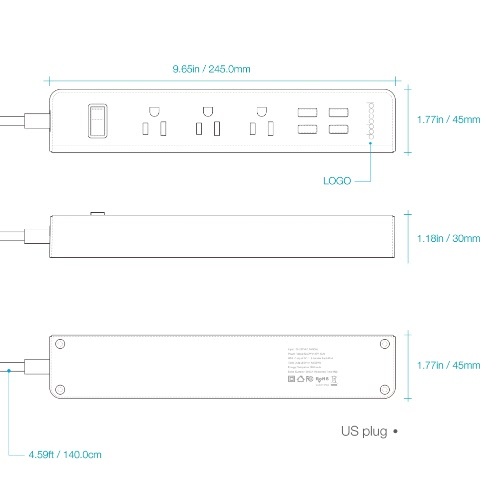 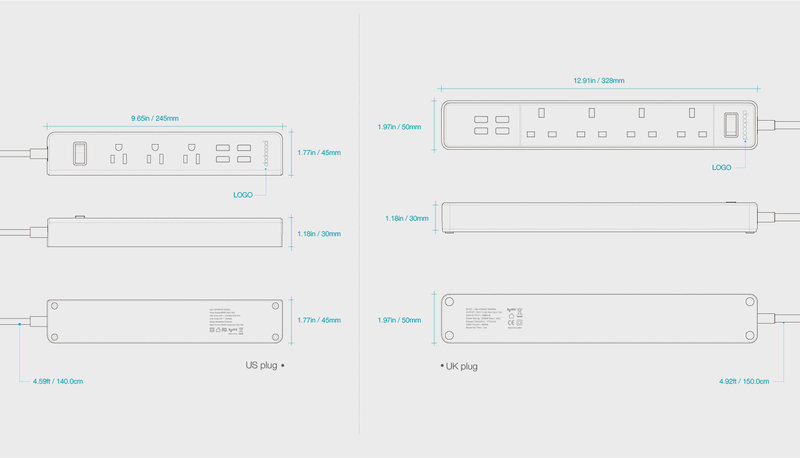 Total USB Ports Output: DC 5V 4A 20W Max. 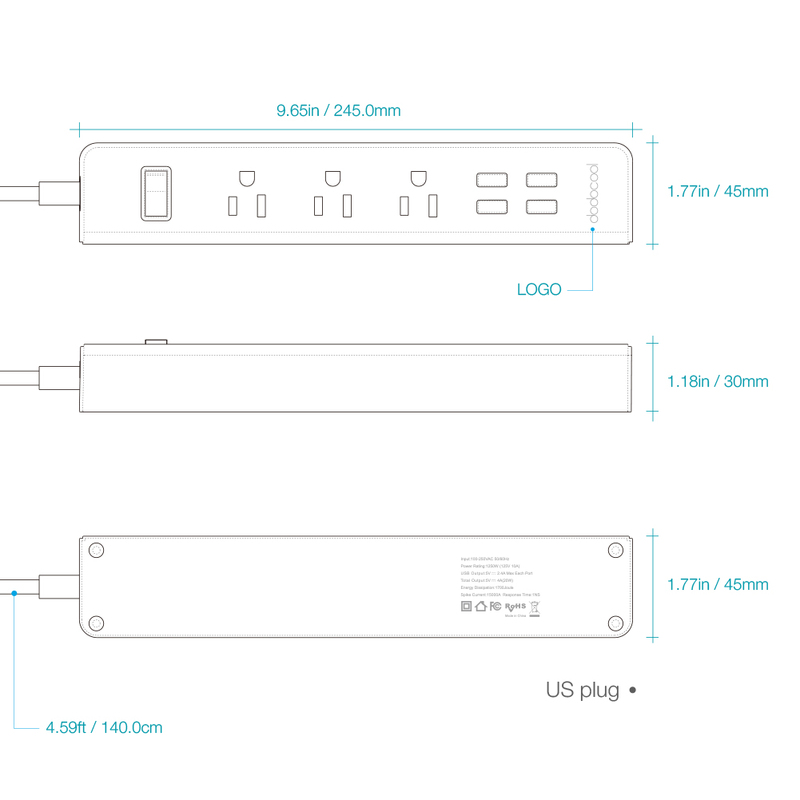 Each USB Port Output: DC 5V 2.4A Max.